Let’s think for a second and try to imagine a market which is completely digital. Back in 2010, a company called go2arena was founded by Bartosz Skwarczek and Dawid Rożek in Rzeszów, Poland as an online game retailer. The main aim of the market was the young gamers with a lack of disposable income. A Polish company that aimed mainly to objective of the company to sell cheaper games than normal market. Selling video games at the place where it is the lowest possible price got attractive customers suddenly. The CEO of the company Skywarcze set the goal to approach as large as possible game developers to make them sell their games on the platform. 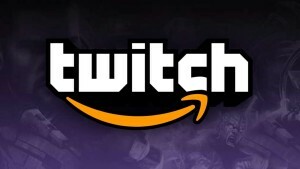 Skywarcze achieved this goal by joining various events such as Gamescom, E3 and G-Star by reaching and securing as many partnership deals as possible in order to become an official seller of the games. This decision and deals changed the company’s business model from retailer to marketplace. The company allowed people or small companies to sell video games through the platform. The hay-day of the company happened in 2016, it began to focus on the technological innovation by investing money into development of Virtual Reality and Customer Services for its customers. G2A pay, G2a direct and G2A shield made the company to became bigger and bigger. G2A pay, launched back in January 2015, The company introduced its online payment system through the platform in order to make the customers pay easily. With the integration of global payment methods thought the system such as PayPal, Skrill, Webmoney and financial services such as Maestro, Visa, MasterCard and American Express. Also integrating chargeback production availability to system to protect the customers and sellers through the system against the illegal refunds which is called Chargeback Fraud which was a big issue on the digital market place. Introducing G2A Direct which allowed developers to join the program in July, 2016. Selling developer’s games and charging the customers became much easier. G2A was only getting small commission from those sales from the customers and developers. By joining the program, G2A allowed developers to ranked higher on the market place of G2A platform. G2A Shield which is a paid membership service for the customer. It offers additional protection to customer who are buying the game thought platform and enjoy the games by playing. Thanks to its customer services, if customer has any problem from the buyer perspective, G2A has 24 hours to solve this issue with the seller. Also G2A including G2A coin transfer, up to 10% cashback, priority pre-order games receive by the customer. With 24/7 live chat in customer service, customer is buying the games without any problem. Poland is a developing country which is an European Union member state, that’s why companies such as G2A gets a lot of free space to develop and grow in this country. Let me know about what is your thinking for buying games or anything online. Do you think, it is a good idea to start a business online such as G2A? I believe everyone heard Pewdiepie who has a channel in YouTube with over 50 million Subscribers currently. It is the biggest channel on Youtube. According to Socialblade, the second biggest channel is HolaSoyGerman, which has 30,753,543 subscribers currently. Now it is time for the story. How a person from Sweden became this bigger on YouTube? What he made through all this way? The most important thing to mention, what Pewdiepie did to get attention about an important issue which is going-on on YouTube. In 2016, YouTube changed its algorithm about showing Videos on the main page. Youtubers were complaining about how the views of the video decreased dramatically. 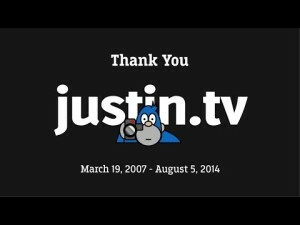 Posting to twitter and publishing videos did not get enough attention from the media and YouTube itself. Pewdiepie decided to make a movement about this issue to get media’s attention. Basically, he just recorded a video about explaining the issue and promising the delete his channel, when it hits 50 million subscribers. He explained that because of the changes in YouTube algorithm, he could not even see the new videos of the channels, he subscribed to… When a channel has a lot of subscribers, YouTube algorithm stops showing the new videos on YouTube currently. Of course, this video got a lot of attention from the media and pewdiepie started to reach much more subscribers that he could get in a year in few weeks. There were a lot of news on the Internet about this video above and media started paying attention to YouTube algorithm problem finally. There were countdowns on many websites for Pewdiepie subscribers count live. 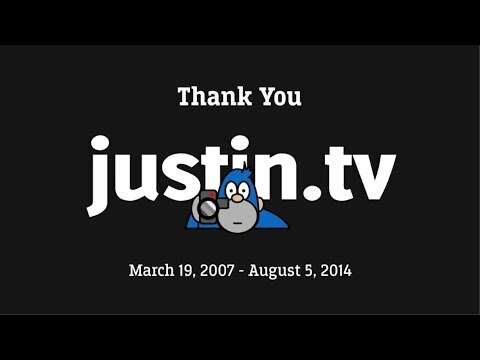 When he reached the 50 million subscribers finally, he published a video which he was deleting his another channel and explaining the situation that it was a joke and a viral marketing for his branding. To be honest, people did not complain about it at all. Because who does not like pewdiepie let’s say. The only thing now, YouTube knows that it has to do something about this algorithm issue and solve it. Otherwise, it will affect both ways. Since most of the big YouTube channels work as full-time Youtubers for their living to earn money. Let’s be honest, why you should pay over 3000$ for graphic card that is almost identical with the one that cost 1000$ or even 600$. Nvidia’s brand for graphics cards intended to use for many different solutions such as GeForce for games and Quadro for workstations which is being used by professionals. Quadro is mainly used for design, graphics, digital content creation and coding. Thanks to its chipsets which is the best chipsets that you can get from the silicon. But as I said in the beginning, Quadro and GeForce chipsets are from the same family. It is production stages are totally the same. The GPU chips on Quadro graphics cards are totally identical to the ones that are being used for GeForce graphic cards. Of course the end products are differentiated from substantially by the drivers and the professional support for the software itself. But don’t you dare to confuse yourself. Hold on a second and try to think about a video game developer company which renders millions of codes and graphics in a day. Can’t you find the answer still? Professional companies just pay 3000$ because of its support availability itself to get aid in crisis from Nvidia. The chips that are used in Quadro are the best ones for that family generation. It is stability and adding small differences such as calculating massive things such as coding and pixels are creating the differences between Quadro and Geforce. Most of the professional companies are choosing to buy Quadro just because it is the best graphic card for the development stage. Hold on a second, you think I am telling you cannot do the same things in Geforce graphic cards. Because I just told you it is totally identical and coming from the same production stages? Yes, you are right, you can do the same things in Geforce but you can never trust the results. In the rendering or calculation stage, Quadro graphic cards are the best ones compared to GeForce. In GeForce graphic cards, you can never be sure that rendering stage did not create any bug that can accrue later on. Since the fireware and drivers are the most important difference between Quadro and Geforce, we can totally assume that the professional companies are only paying the support and the software. I should also mention the CUDA cores. Just because of it is the best ships that are used for Quadro, Nvidia is able to offer more CUDA cores which allows to render and calculate things faster and stable. Let’s not be dare to buy Quadro graphic cards for playing games because it is just throwing your money away. 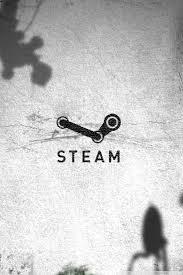 For those, who are not interested in Gaming industry, let me explain what kind of platform “Steam” on the Internet. Valve Cooperation is well-known with its the most popular game “Counter-Strike”. Back in 2003, Valve was facing with problems about updating its own games “Patch”. Providing patches on the Internet website was creating issues for players and many people were not able to play for a while until Valve hot-fix it. That is why, Valve decided to create a platform to update its own games and also implement anti-cheat programs in easier way. According to Valve’s survey results, around 75% of Valve’s users had high speed Internet access in 2002. 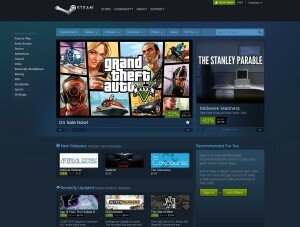 Valve Cooperation also realized that the firm can provide game distribution through the platform. Platform was firstly activated for end-users in January, 2003 with a Beta version. The first game was Counter-Strike 1.6, this created brilliant results. Valve Cooperation also partnered with a lot of game distributors. The main purpose was making game developers to be able to patch and update their games easily. At the beginning Steam was an optional component for the developers. 80.000 to 300.000 tested the beta version in 2003. This way of updating the games took gamers attention because it was an automatic patch platform and the gamer had to do nothing to get it. By November, 2015, Steam service had over 13 million active users and had over 125 million registered accounts. The platform now give services for all other devices such as consoles, smartphones. It does not want to stop anymore, there are few competitors for Steam platform such as UPlay, Origin, GOG but I believe Valve already became a Monopoly for this service sector. According to steam database, the platform hit over 14 million active users online. 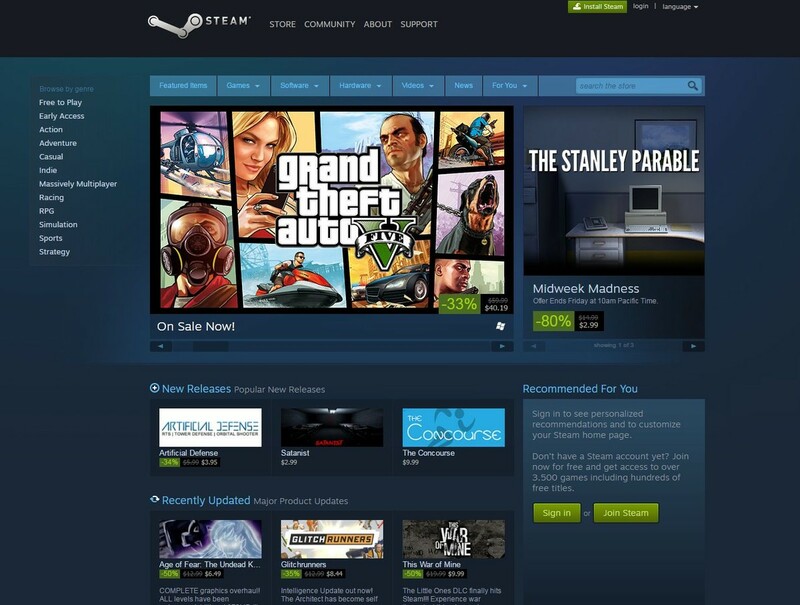 Steam became the largest digital distribution platform for PC games. 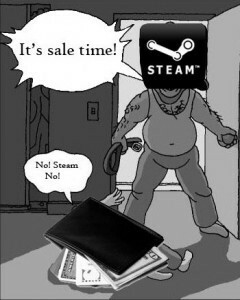 In October 2013, Screen Digest provided an analysis that Steam was own 75% of the market share estimated. 5 years ago, steam hit 5 million active users in 2012. Only after 5 years, steam hit 14 million active users online, this is incredibly huge numbers even for the Internet. Steam currently has over 12.000 Games on its database to allow users to buy and play those games without any limits that Internet can create. 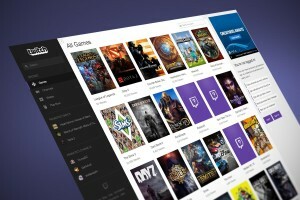 Steam even allows users to play multiplayer games online easily. Valve Cooperation also get a lot of attentions with its discount events, such as new year events. It is possible to find AAA title games for a cheap price and enjoy download it with a single button to play. This opportunity is getting more and more attention for users. This blog was written by Ali Murat AY.